Maharajkumari Manavika Kumari, born 9th October 1996 . Maharajkumari Janaki Kumari, born 13th July 1998 . Yuvaraj Manavendra Pratap Singh, born 24th September 2001 . Army: 1800 Cavalry, 4,750 Infantry, 10 field and 290 other guns and 369 Artillery men.Major Produce of the State: Millets, Bajra, Jour, Barley, Gram, Cotton, Indian corn, Wheat pulses, Oil seeds, Sugarcane, Tobacco and Opium. Slate, Marble(black, white and pink), slate coloured sandstone, Talc, Red ochre, Iron, Copper, Lead and Potash are to be had in abundance in the hills. Manufacture: Paper, inferior glass from a peculiar kind of earth. Alwar State Original Flag (1775)Alwar State Original Flag (1775): State flag dating back to the founding of the state (c. 1775). 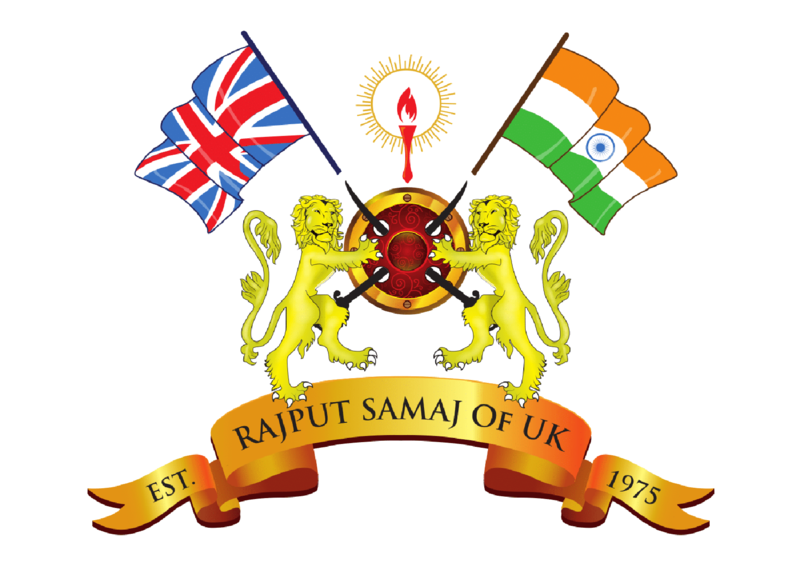 The shield of the coat of arms of the Maharaja, in use from 1877 to 1931, showed stripes of the same colors and the same provision. Alwar State Flag(1931): Classic banner of the Rajputs (panchranga, the five colors), the flag was changed in 1931 to the sequence of colors (and since 1933, also returned to being banner of the Maharaja). It remained officially in use until 1949. Alwar Maharaja Flag (1892)Alwar Maharaja Flag (1892): The banner of the maharajas, in use since 1892, was triangular and wore the same colors of panchranga status. In 1933, shortly after the change of the color sequence, the standard was abolished by identifying with the state flag. Original COA of the State of AlwarOriginal COA of the State of Alwar: Arms: Barry of five Gules, Vert, Argent, Azure and Or, between four kutars in saltire, hilted Or, a tower on a crag proper. Crest: On a helmet to the dexter, lambrequined Gules and Or, a hand holding in bend sinister a branch of a kuchnar-tree. Supporters: A sambur (Rusa unicolor – Cervidæ) and a tiger (Panthera tigris – Felidæ). Motto: GADH JITE SAB GAAYE The original COA was granted to H.H. Maharao Raja Shri Sheodan Singhji Veerendra Shiromani Dev Bharat Prabhakar Bahadur, Maharao Raja of Alwar (1857 – 1874). New COA of the State of AlwarNew COA of the State of Alwar: Arms: Azure, bossed and a kutar per pale, within a bordure, voided of the field and ornamented with acanthus-leaves Or. Crown: The royal crown of Alwar. Supporters: Two national flags, being barry of Gules, Vert, Argent, Azure and Or in saltire and on the dexter a bull and on the sinister a tiger. Compartment: A grassy ground, porper Motto: ATMANAM SATATAM VIDDHI (Always know yourself) in white lettering on a purple ribbon The Original COA was changed by Lieutenant-Colonel H.H. Raj Rishi Shri Sawai Maharaja Sir Mangal Singhji Veerendra Shiromani Dev Bharat Prabhakar Bahadur, Maharaja of Alwar (1874 – 1892) by writing a letter to the Government of India. Maharaja Mangal Singhji discarded Taylor’s (Robert Taylor of the Bengal Civil Service and the designer of the COAs of the Indian Princely States ) design and gave his reasons why he substituted his own. Taylor had designed four kutars in a very un-heraldic layout with the Panchranga barry of the field. Item by item the Maharaja eliminates everything, and leaves just Azure, a Kutar erect Or on a round shield. The solitary kutar recalls the following story. Mairaj, the father of Naru, the founder of the Narukha clan, was at war with Kalodar Jhala of Jhalrapatan. After much fighting, an interview was arranged between the two monarchs. When they were squatting on the ground facing one another, four of Jhala’s men pinioned Mairaj’s arms from behind with intent to murder him. Mad at the treachery, but unable to use his hands, Mairaj gripped Jhala’s katar with his toes, pulled it out of his waistband and ended the opponent’s life by thrusting it in his stomach with a vigorous kick. Mangal Singh: 1 Rupee, Year 1882Alwar State coin of Mangal Singh: 1 Rupee. Year: 1882. Weight: 11.66g. Metal: 0.916 Silver. Obverse: Maharao Raja Sawai Mangal Singh Bahadur. Reverse: Victoria Empress. Mangal Singh 1: 1 Rupee, Year 1891Alwar State coin of Mangal Singh 1: 1 Rupee. Year: 1891. Weight: 11.66g. Metal: 0.916 Silver. Obverse: Maharaja Shri Sawai Mangal Singh Bahadur. Reverse: Victoria Empress. (notice the age of the Empress in the face structure. Such was the perfection of the Rajput rulers in administering their Kingdoms.) Source: Imperial Gazetteer of India, Native States of India, The golden book of India. Founded by the Naruka Chief, Pratap Singh in 1771. The rulers were…. Raja UDAYAKARNA 1367/1389, Raja of Amber, married and had issue. Rao Bar Singh, received Mojad (Mozamabad) and was ancestor of the rulers of , Uniara, Lawa etc, married and had issue. Rao Maharaji, married and had issue. Rao Naru, eponymous founder of the Naruka clan, married and had issue. Rao Dasaji, married and had issue, the Dasawat clan. He was poisoned to death by Raja Prithvi Raj of Amber. Rao Chandan Dasji, married and had issue, two sons, ancestors of the families of Ladana, Lawa etc. Rao Karam Chandji, succeeded in Mozamabad, he made an attempt on the Amber gaddi but was murdered; married and had issue, six sons. He was killed shortly after 1525. Rao Singhji, married and had issue, three sons. Rao Jiatsiji, married and had issue. Rao Chandrabhan, received Uniara in Jagir from Padshah Shah Jehan in 1638. Rao Prithirajji, succeeded to Kumhera in Jaipur, married and had issue, eleven sons. Rao Chaturbhujji, married and had issue, one son. Rao Raikunwarji, married and had issue, the families of Garhi and Jaoli in Alwar. Rao Abhai Ram, he and his brother did not receive a share in their fathers estate, and therefore left Mozamabad and settled in Maujpur in Alwar where they held sway over a big estate. Rao Anand Ram, his descendants are said to be the Thakurs of Garhi in Alwar. Rao Jaimalji of Uniara, he sided with his brother in his attempt on the Amber gaddi. Rao Lalaji, ancestor of the Lalawat clan, married and had issue. Rao Udai Singh, married and had issue. Rao Lar Khan, married and had issue. Rao Fateh Singh, married and had issue. Rao Baloji, third son, granted the village of Barwara near Amarsar in 1390, married and had issue. He died 1430 . Rao Shekhaji (Shekha of Amarsar) 1445/1488, born 1433 , became independent of Jaipur in 1471 and was ancestor of the Shekhawat clan. He died 1488 . Rao Kalyan Singh, received the grant of Macheri from the Mirza Raja Jai Singh of Amber in about 1671, ancestor of the panch tikanas (five families) and the bara kotri (12 chambers) of the Alwar nobility, married and had issue. Rao Agar Singh, ancestor of the rulers of Macheri, Bijnor and Alwar, married and had issue. Rao Hathi Singh, married and had issue. Rao Mukund Singh, married and had issue. Rao Tej Singh, married and had issue. Rao Zorawar Singh of Macheri, married and had issue. Rao Mohabat Singh of Macheri, married and had issue. Rao Raja Sri Sawai Pratap Singh, 1st Rao Raja of Alwar, see . Rao Zalim Singh, ancestor of the Bijnor family. Rao Amar Singh, founder of the Khara or Khora family. Rao Shyam Singh, ancestor of the rulers of Para, Thana and Srichandpura, married and had issue. Rao Nathu Singh, ancestor of the Thakurs of Para. Rao Madho Singh of Thana (5 villages), married and had issue. Rao Bridh Singh, married and had issue. Rao Dhir Singh, married and had issue. Rao Salah Singh, married and had issue. Rao Hanwant Singh of Thana (5 villages and revenue of 5,000Rs in 1893), married and had issue. Rao Hardeo Singh of Thana -/1872, Member of the State Council, married and had issue. Thakur Surtan Singh of Thana 1872/-, educated at Thakur School in Alwar, Bakhshi Fauj, married and had issue. Thakur Ram Singh, born 1883 . Baisa (name unknown) [Rani Sahiba of Nimrana], married Raja Janak Singhji of Nimrana. HH Shri Sawai Maharaja Sir Mangal Singhji Virendra Shiromani Dev, 6th Maharaja of Alwar (see below). Baisa (name unknown) [Rani Sahiba of Junian], married Rao Kalyan Singh of Junian. Rao Nand Singh of Srichandpur, married and had issue. Raja Ganga Singhji of Srichandpura, married Rani Hawa Kanwar, daughter of Maharaj Salam Singhji of Nachana in Jaisalmer, and his wife, Rani Badal Kanwar, and had issue. HH Shri Sawai Maharaja Sir Tej Singh Dev Bahadur, Maharaja of Alwar (see below). Rajkumari Saheba Inder Kanwar, married Maharaj Ridmal Singh of Raoti, and had issue, two sons and one daugter. Rao Raja Binay Singh, 4th Rao Raja of Alwar . Rao Raja Bakhtawar Singh, 2nd Rao Raja of Alwar . Rao Raja Sri Sawai PRATAP SINGH, 1st Rao Raja of Alwar 1775/1791, initially Raja of Macheri, born 1740 , son of Rao Mohabat Singh of Macheri, he was granted the title of Rao Raja and Panch Hazari Mansab by the Mughal Emperor, Shah Alam, died sp 26th September 1791. Rao Raja BAKHTAWAR SINGH, 2nd Rao Raja of Alwar 1791/1815, born 1779 , adopted from Thikana Thana, son of Rao Dhir Singh (see above), married 1stly, 1793, a daughter of Thakur Suryamal of Kuchaman, Marwar, married 2ndly, Moosi, committed sati, and had illegitimate issue. He died 27th January 1815 . Rao Raja BALWANT SINGH, 3rd Rao Raja of Alwar 1815/1826 (deposed), died sp in exile at Tijara 1845. Rao Raja BINAY SINGH, 4th Rao Raja of Alwar 1815/1857, nephew of Rao Raja Bhaktawar Singh but was not formally adopted, married (amongst others), a daughter of Rao Laxman Singh Chandrawat, and had issue. He died August 1857 . Rajkumari (name unknown) [Maharani Sahiba of Bikaner], married 13th June 1855, Maharaja Sardar Singhji of Bikaner. Rao Raja SHIVDAN SINGH, 5th Rao Raja of Alwar 1857/1874, born circa 1845, only installed in 1867, married 1861, a daughter of Maharaja Rana Prithvi Singhji of Jhalawar. He died spl 11th October 1874. Rao Raja Daljit Singh, married Rani Madan Kunwar, and had issue. Rani Rajeshwari Kumari, married Rao Raja Hukum Singh of Jodhpur, and has issue. HH Shri Sawai Maharaja Sir MANGAL SINGHJI Virendra Shiromani Dev, 6th Maharao Raja of Alwar 1874/1892, born 1859 , adopted from Thikana Thana, installed upon the gaddi on 14th December 1874, in preference to Kunwar Lakhdir Singh of Bijwar, Maharaja [cr.1889], G.C.S.I., married (amongst others), (a) 1877, the second daughter of Maharaja Prithvi Singhji of Kishangarh, married (b), 1878, a daughter of Raja Bhairon Singhji of Ratlam, and had issue. He died 23rd May 1892 in Nainital due to alcoholic poisoning. Col. HH Raj Rishi Shri Sawai Maharaja Sir JAI SINGHJI Virendra Shiromani Dev Bharat Dharam Prabhakar, 7th Maharaja of Alwar 1892/1933 (deposed), born 14th June 1882 , K.C.I.E. [cr.1911], K.C.S.I. [cr.1909], G.C.I.E. [cr.1919], G.C.S.I. [cr.1924], installed upon the gaddi 10th December 1903; Member of Standing Committee of Indian Princes’ Chamber; General-in-Chief of Alwar State Forces; represented India at Imperial Conference 1923; married 1stly, 8th December 1897, a daughter of the Maharaja of Kishengarh, she died 20th May 1921 , married 2ndly, 17th April 1914, a lady of Khirasra and a niece of the Jam of Jamnagar, died 23rd March 1919 , married 3rdly, 7th December 1919, a lady of Rajpur and a relative of the Jam of Jamnagar. He died spm on 20th May 1937 in Paris. HH Raj Rishi Shri Sawai Maharaja Sir TEJ SINGHJI Virendra Shiromani Dev Bharat Dharam Prabhakar, 8th Maharaja of Alwar 1933/2009, born 19th March 1911 , second son of Raja Ganga Singhji of Srichandpura (see above), adopted by his kinsman whom he succeeded in 1933, officially installed on 22nd July 1937 after the death of his predecessor, K.C.S.I. [cr.2nd June 1943], married 1931, HH Maharani Chand Kumari, daughter of Maharaj Akhay Singh of Raoti in Jodhpur, and has issue, two sons and two daughters. He died 15th February 2009 . Yuvaraj Shri Pratap Singh, born 17th June 1938 , Yuvaraj of Alwar 1933/1976, married 26th of April 1962, Yuvarani Mahendra Kumari [Maharajkumari Mahendra Kumari of Bundi (Princess Kitten)], born 6th February 1942 , Member of the Tenth Lok Sabha 1991/1996, died 27th June 2002 at New Delhi, and had issue. He died 27th March 1976 . Maharajkumar Yashwant Singh, born 19th September 1939 , married Kanwarani Sahiba Brinda Kumari, daughter of HH Thakore Sahib Shri Sir Bahadursinhji Mansinhji of Palitana, and his wife, HH Thakorani Bai Shri Sita Ba Kunverba Sahiba, and has issue, two daughters and a son. Bhanwar Yogendra Singh [Prince Tubby], born 3rd March 1959 in New Delhi; educated at St. Stephens College, Delhi University (B.A. ), National Junior Squash Champion (India) in 1977, represented India in the World Team Championship in 1978 and 1980, coach of the Indian national team 1994/1998, undertook a refereeing course with the Singapore Squash Racquet Association in 1992, an Internationally qualified squash referee, the only Indian and one of only 30 in the world, World Squash Federation (WSF) International Squash Referee since 1995; married 5th November 1987 in New Delhi, Bhanwarani Neena Singh. Bhanwar Baisa Bhuvneshwari Kumari [Princess Candy], born 1st September 1960 in New Delhi, educated at Delhi University (B.A. ); Womens National Squash Champion from 1977 to 1992 (16 years in a row), winner of 41 State titles and 2 International titles (Kenyan Open 1988 and 1989); Honours and Awards include, Delhi Sports Journalist Association Award (For The Best Sports Woman 1983), Rajasthan Sports Award Council 1984, Maharana Mewar Foundation “Aravali Award” (For the most Outstanding Sportswoman of the year 1990), K.K. Birla Foundation Award for Sports (For Outstanding Performance in 1991 and Holding the Maximum Number of Individual National Titles Won), Bombay Sports Journalist Association Award (For Best Sportswoman for the year 1992), listed in the Limka Book of Records (For Sports Person of The Year 1992 and for The Most Number of Titles Won in Indian Sports), Rajasthan Olympic Association Award (For Best Woman Player 1993-94), awarded the Maharaja Sawai Madho Singh Award for excellence in sports (squash), on 27th October 2001, winner of the Arjuna Award in 1982, and awarded the Padma Shri in 2001. Rajkumari Sohini Kumari, born 5th January 1968 in New Delhi, a Professional Qualified Tennis Coach, National Tennis Champion Doubles six years in a row, represented India in Federation Cup (Womens Davis Cup) 1991,1992 and 1995, Gold Medalist SAF Games 1991, represented India in Squash in Asian Games 1998 Bangkok, Asian Seniors Squash 1998 – Malaysia; received the Aravali Award for Outstanding Sportsperson 1992 – Udaipur; holds a Place in Limka Book of Records for representing India in two Sports (Tennis and Squash). Maharajkumari Pratap Kumari, married (div. ), Yuvraj Dr. Digvijay Sinhji [later HH Maharana Raj Saheb Dr. Digvijaysinhji] of Wankaner. She died August 2003 . Maharajkumari (name unknown) Kumari, married HH Thakore Saheb Shri Manoharsinhji Pradyumansinhji of Rajkot, and has issue. Maharajkumari Bhanu Kumari, married Maharaj Parakram Singh of Pratapgarh.